I wonder, was Albert Einstein a minimalist ? 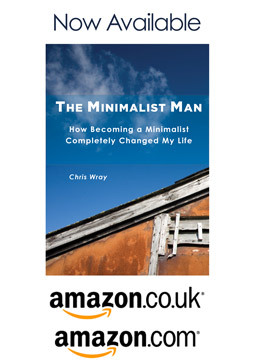 Was he the founder of the minimalist lifestyle ? “the definition of madness is to keep doing the same thing and expect different results”. I’d use it when I saw the same issue happening over again, and find us, as a team or organisation, wondering why ? In my new minimalist lifestyle, I’ve started to see some of the same quotes showing the same genius, but seeing them for the first time in the context of minimalism, simplicity, and focus on what is of value. I think this really sums up minimalism. It speaks to me of simple, straightforward, clear and purposeful. Nothing more, nothing less. This quote I feel describes the change from the consumerist cluttered past, the challenges of too much stuff, too many commitments and the realisation that making the change to a minimalist lifestyle brings opportunity to create time, space, and purpose to focus on our passions and values. This quote I interpret as the change in mindset that minimalism brings. You have to think differently. That stuff isn’t really what life is about, that peer pressure and materialism can be ignored, and that as a result of adopting a minimalist lifestyle, you do think differently. As a fitting final quote, accepting the limited thinking, the numerous commitments we face. The ownership of so much stuff, and to a large extent how it holds us back. Once we understand how the freedom that a minimalist lifestyle can give us, we go far beyond our previous thinking, gain far more happiness, and then create space to truly focus on what we value. Do you think Albert Einstein could have been a Minimalist ? Tell me in the comments. If this blog post was useful please let me know your experiences in the comments. I’d be delighted if you joined me on Facebook or mentioned this on Twitter. Why not sign up for the newsletter to hear more.